Throughout most of the 20th century, Japanese immigrants to the United States (the Issei generation) and their children (the Nisei generation) struggled to achieve stable communities, to make a living, and to establish themselves as part of American culture. They faced discriminatory laws, financial hardship, outright racism, and – in the 1940s – imprisonment in US government concentration camps because they “looked like the enemy”. The community as a whole was distinguished by enduring cultural values that emphasized hard work, education, never giving up, and the dignified acceptance of deprivation and difficulty as part of life (gaman). Roy Matsumoto spent his early years on a farm in the Los Angeles area but was sent back to his parents’ native country of Japan for education, a common practice of Japanese families in those days. His parents, motivated perhaps both by financial challenges and by the desire once again to be part of the culture of their own birth, moved the family back to Japan in the late 1920s. They settled in Hiroshima. 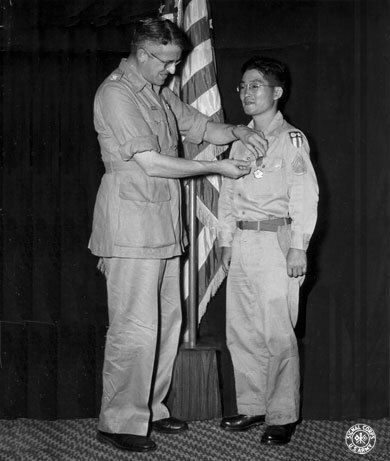 By chance (good luck, as it turned out) Roy’s Japanese education was cut short by a family decision and he was sent back to the United States, probably only a short time before he would have been drafted into the Japanese military. Three of his brothers, all born in the US, ended up serving Japan during the war. Roy, along with the many other Japanese Americans in southern California, made it through the decade of the Great Depression through unrelenting hard work and the kinds of mutual support that were typical of the Japanese immigrant community. The fruits of their hard work were all but completely lost, however, when every person of Japanese descent – whether immigrant or native-born US citizen – was put behind barbed wire in desolate prison camps after the bombing of Pearl Harbor.